An effective arthritis treatment regimen can help manage the disease. There are many treatment options which you should know about. Over time, you may try several different treatments and change your treatment plan. Finding the best treatment for you can be a long process. People with early symptoms of arthritis are often inclined to self-treat with over-the-counter medications, topical creams, or conservative measures, such as ice or heat. The Arthritis Foundation recommends seeing a doctor if you have joint pain, stiffness, or swelling which persists for two or more weeks, whether or not your symptoms began suddenly or gradually. Only a doctor can diagnose arthritis. An accurate diagnosis is needed so appropriate treatment can begin. A rheumatologist (arthritis specialist) will help you understand all of your treatment options and also help you steer clear of unproven remedies. Discuss the potential benefits and risks of each treatment option with your doctor. Medications are considered traditional treatment for arthritis. Depending on the severity of your arthritis symptoms when you first consult with your doctor, one or more medications will likely be prescribed. Arthritis Drugs - What Are My Options? Ask your doctor why specific medications were prescribed. Inquire about expected benefits and when you may notice improvement. Ask if there are potential side effects associated with the medications and how you will be monitored (i.e., routine blood tests). Make sure you understand the goals. If you understand, you are more likely to be compliant with the treatment plan. There are several types of injections which can be given locally into the joint. Viscosupplementation is a procedure that involves the injection of gel-like substances (hyaluronates) into a joint (currently approved for knee) to supplement the viscous properties of synovial fluid. 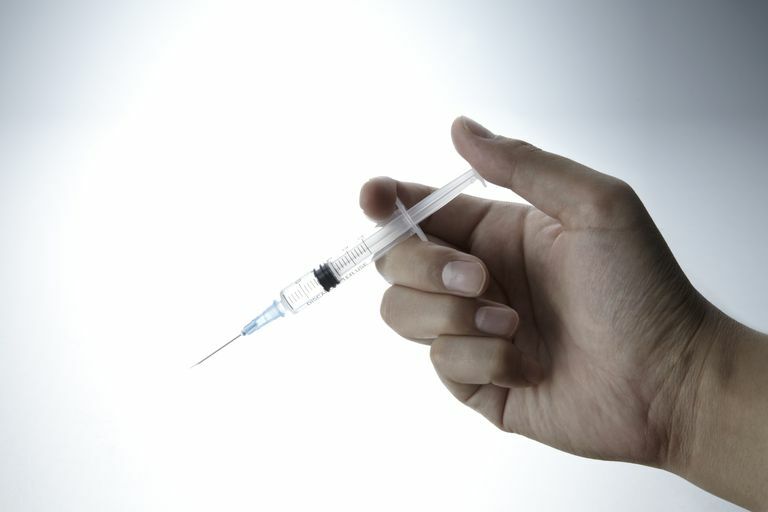 Local steroid injections can be used for a specific, painful joint. Three steroid injections per year into a joint is the maximum allowed by most doctors. Steroid injections were used long before viscosupplementation became a treatment option. Both are still used, though, depending on patient preference. Some people are more interested in natural treatments than traditional medications. If you prefer a natural approach to treating arthritis, it's still imperative that you tell your doctor what you are taking or what you want to try. There are many natural treatment options, also referred to as alternative treatments, which are popular but not fully endorsed for effectiveness and safety. Be aware. The terms complementary medicine and alternative medicine are sometimes used interchangeably. The difference is that complementary treatments are used together with your usual treatment regimen. Alternative treatments imply that they are used instead of your usual treatment. Regular exercise is strongly recommended for arthritis patients. Exercise can reduce pain and improve physical function, muscle strength, and quality of life for people with arthritis. Eating a nutritious diet is important for maintaining ideal weight and for bone health,too. There is no known diet that can cure arthritis, but eating well is important. Stress management may also be useful as a complementary treatment. Reducing stress helps to reduce pain and stiffness associated with arthritis. Can Stress Trigger Rheumatoid Arthritis? Joint surgery is usually considered a last resort treatment option. Joint surgery is typically considered if conservative treatment measures are unsatisfactory or have stopped working. When joint damage is severe and when pain interferes with daily activities, joint surgery may be an option with the goal of decreasing pain and restoring function. Too Young for Joint Replacement? Pain is debilitating and can greatly interfere with daily living. Better treatments are always being sought, so people living with arthritis pain can find relief. Conditions and Treatments. Arthritis Foundation. Joint Replacement Surgery and You. NIAMS. Questions About Arthritis and Rheumatic Diseases. NIAMS.